Sunreef’s Wreck Diver Course provides divers with a structured, well-supervised means to gain responsible wreck diving practices. This course will give you the knowledge and skills to safely explore many different types of wrecks, some of which are protected by laws that guard their historical and cultural significance. 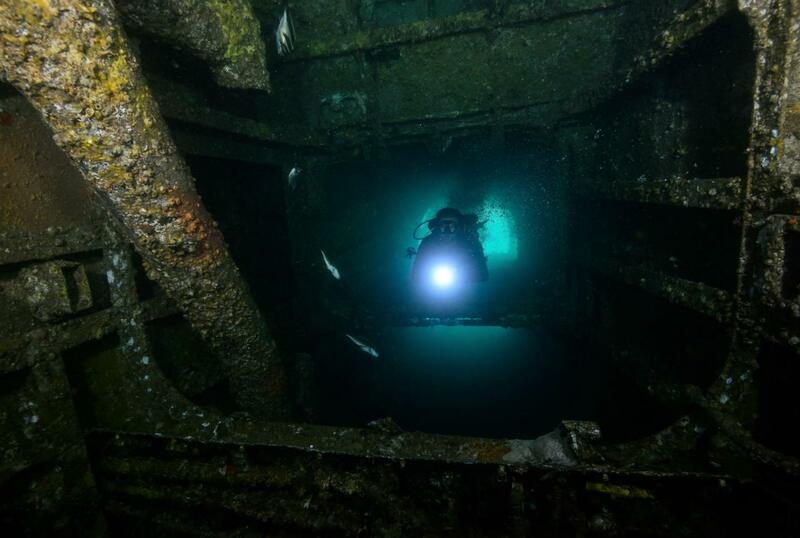 You will learn the safety considerations for navigating and exploring wrecks, surveying and mapping a wreck and using penetration lines and reels to guide exploration and more. Thriving marine life, pleasant year-round diving conditions and ease of access have quickly made former guided missle destroyer, the HMAS Brisbane, one of Australia’s most talked about dive sites. Sunreef Mooloolaba runs morning, afternoon and night dives and can supply all gear. Join the growing number of divers throughout Australia and the world who can say... “I’ve dived the Brisbane”.